Mediation involves you and your former spouse sitting down with an independent third person (a mediator) to attempt to resolve issues in dispute. This usually helpful process does not necessarily require that you and your former spouse face each other in same room. The mediator may move between you in separate rooms. Before commencing Court Proceedings concerning children the parties are usually required to first attend mediation, which is also known as Family Dispute Resolution. 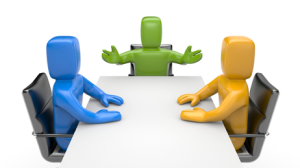 Attending mediation is not compulsory when the parties have reached an agreement and are applying for Consent Orders. Nor is it compulsory in the case of family violence or the matter is urgent. Mediation, often involving the presence of solicitors, is also utilised resolving in property disputes. If mediation is unsuccessful Court proceedings invariably follow.